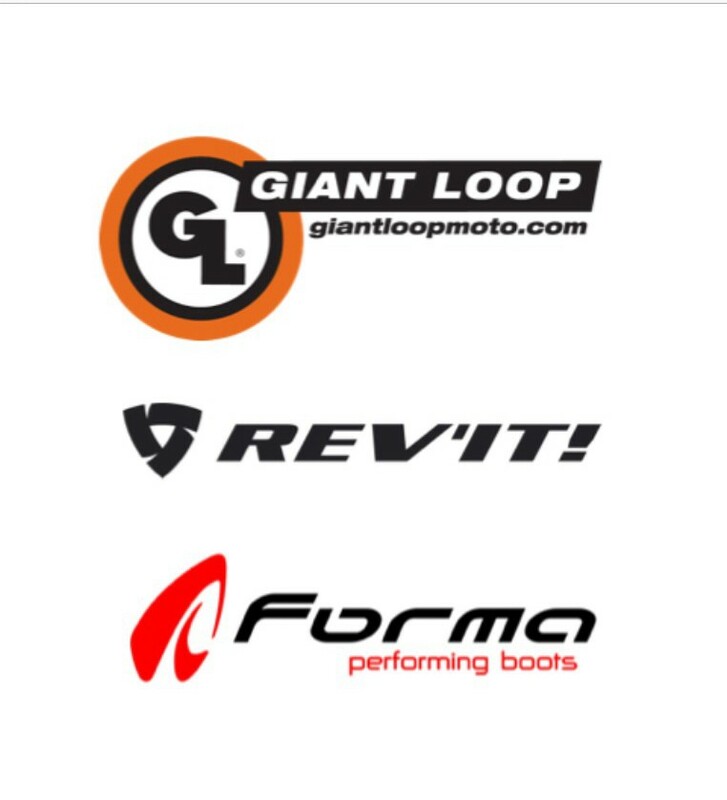 This article appears in Issue 80 (May-June 2014) of Adventure Motorcycle Magazine (USA). 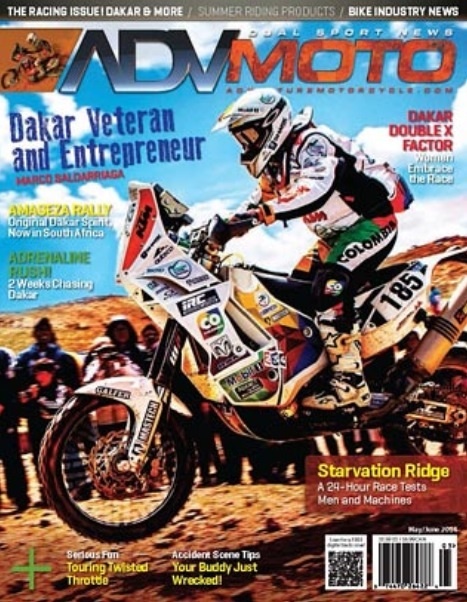 A different article from that published in Adventure Bike Rider and Bike Rider Magazine NZ, it is an abbreviated account of my experiences following the Dakar Rally through Argentina, Bolivia and Chile in January 2014. THE DAKAR RALLY – 8500km of racing over 12 days, passing through some of the most inhospitable and inaccessible terrain in South America. Not exactly a spectator sport, you might think: just keeping up with the race would be hard enough. When I decided to put my journey around South America on hold for two weeks and wait in north-west Argentina for the rally, I wasn’t expecting much – some long rides connecting a few vantage points where I could watch the bikes speed pass, and maybe the chance to peer through the fence of a bivouac. But how wrong I was. Following the Dakar on a motorbike is a truly unique spectator experience. No other sport I have watched allows you get so close to the event, to get inside it and really ‘feel’ it. On a motorbike, you don’t watch the Dakar – you live it. With its heritage in Africa, you would be excused for thinking that the entire rally takes place in uninhabited wilderness, but that is not feasible in South America. There are vast tracts of deserts and mountains through which to race, but there are also towns, major roads, mines, farmland and private land. Therefore the timed race sections, known as ‘specials’, are connected by ‘liaisons’ using public roads. It is this format that makes it feasible to follow the race, allowing a vehicle-borne Dakar fan using public roads to leap-frog the racers as they battle through the special. Three days before a stage, the detailed route is published on the Rally’s phone app. Official spectator zones are set up along the route and the locations of these are published at the same time. After only five years on this continent, the Dakar has become part of the culture of the host countries. I have been riding my Tenere through Chile, Argentina, Peru and Bolivia for over a year now and I see the iconic Dakar emblem everywhere – on cars, motorbikes, clothing, even mobile phone cases. They love the rally. A few days before the race reached the small Argentine village of Guandacol, I caught my first whiff of this passion. Whilst reconnoitring the route, I inadvertently pulled into someone’s front yard. Within a minute I was surrounded by an entire, and very excited, family wanting to pose for photos with me and the bike. This was my first glimpse of ‘Dakar Fever’, and only the tip of the iceberg. It set the tone for what was to come. The Dakar caravan – comprising the racers (472 bikes, quads, cars and trucks at the start), support vehicles, officials and sponsors in their 4x4s, and of course the helicopters – is a big and impressive beast. When it comes to town, thing get a bit crazy. The liaisons are lined with flag-waving and cheering locals. Petrol stations, which are used as official refuelling points, are inundated with camera-wielding fans and curious bystanders. Whole families set up camp outside their houses, barbecues alight, to watch this amazing spectacle pass by. Riding amongst the the Dakar vehicles, a moto-spectator is immersed in this carnival atmosphere. But here is the twist, the key that really unlocks this event for a rider on a KTM 990, Tenere or BMW. To a local, anyone on an ‘off-road’ bike is a racer. So you don’t just watch their enthusiasm and delight, you experience it first hand as they cheer and wave you on, thinking you are the real deal. Whilst the Dakar pilots may not be racing on the liaisons, riding amongst them nevertheless affords the moto-spectator a taste of the rally. One morning I awoke at 4am, drove to the bivouac and slipped into the stream of bikes setting off at one minute internals. Riding through the dark along empty roads, invisible to the outside world, occasionally being overtaken by a KTM or Yamaha 450, you cannot help but feel that you are in the heart of race. As well as riding the liaisons, I watched a lot of the racing. Every spectator zone was different. Some were fairly tightly controlled. At others, the police were more relaxed and easy to evade; on occasions I was able to get right to the edge of the race route. In Bolivia, they seemed determined to keep a tight reign on things, it being the first time the race had crossed their borders. However, armed with some local knowledge I got round this. After following a little-used track fording a river, I found myself amongst hundreds of locals at the most spectacular setting from which to watch the race – in a beautiful sandstone gorge, raucous locals atop every rocky outcrop, with the throaty sounds of the 450s’ exhausts echoing off the cliffs. Without a single policeman present, we wandered up and down the race route at will. By the time I bade farewell the Dakar in northern Chile after seven days, I had covered nearly 3000km, visited three counties, ridden roads that bikers dream of, and all against a stunning backdrop of the Andes, the Bolivian Altiplano and the Atacama Desert. Each day I had met and ridden with Dakar enthusiasts from all over South America and beyond, making new friends. I had been warmly welcomed and helped by the locals at every turn. I had watched the world’s best racers in action, been swept up by the energy of the rally and afforded a glimpse of this extraordinary event from within. The week felt more like a month. The Dakar is so much more than the racing: it is an eclectic community of racers, the organisers, the press, the support crews, spectators, and the locals who live along the race route; it is a travelling town; a sports match spread out over three countries; it is a legend playing out in front of you. To be part of it, even as a spectator, is an adventure, a challenge, an experience like no other. And there is only one way to do it – on two wheels. So clear your diaries for January 2015. I’ll see you in Peru. Hi David. By all means. But I wonder if the other article from Full Throttle may be more relevant – it follows on nicely from my Afg one, talking about why I left the Army and how travelling has helped the transition. And it might inspire some OS to buy a moto and set off into the unknown! !